Are you a producer or audio engineer? Would you like to know how to maximize the vocal performance of the singers you record? 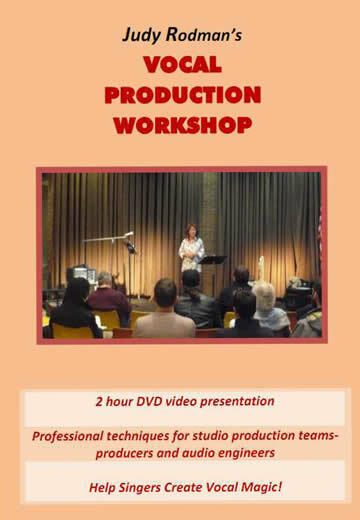 This two hour workshop is the ultimate resource for you. “So much useful and practical information, even for the seasoned pros!" Why studio singing is difficult, and what to do about it. Surprising tips to prepare your singer for success in the vocal booth. Best way to set up your singer at the mic (rarely done). Ways to enable –not sabotage- your singer’s breath, throat, ears and zone. How to help your singers relax and conquer anxiety or numbness. How to focus your singers and keep them from thinking too much. 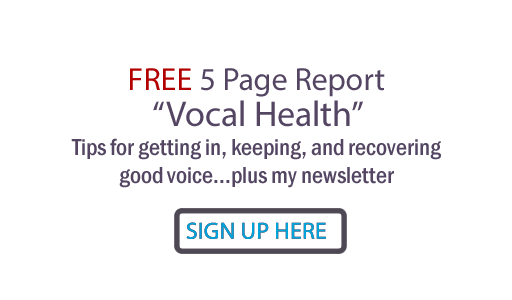 Suggestions you can offer to conquer vocal control problems affecting pitch,high and low notes, tone and resonance, articulation, volume intensity, vocal licks, popped consonants, vibrato, rhythm, vocal breaks, etc. How to help singers create live stage performance magic in the vocal booth. How to help instrumentalists others who ‘freeze’ when recording vocals. Judy Rodman has logged thousands of studio hours with award-winning credits on hit songs as session singer, recording artist, songwriter, producer and vocal coach named “Best Vocal Coach 2011” by NashvilleMusicPros.com. From her vast successful experience with hers and others’ voices, Judy has unique, first-hand knowledge of how to help singers do ultimate studio vocals. “I got to meet and listen to a seminar by Judy Rodman today - the woman, the wonder, the legend! Thanks again, Judy, for spreading the good word about getting magic in recorded vocals. So glad this is finally being addressed." This workshop was held in spring of 2012 at the Musicians Union in Nashville,Tennessee for 40 members of the pro audio community.